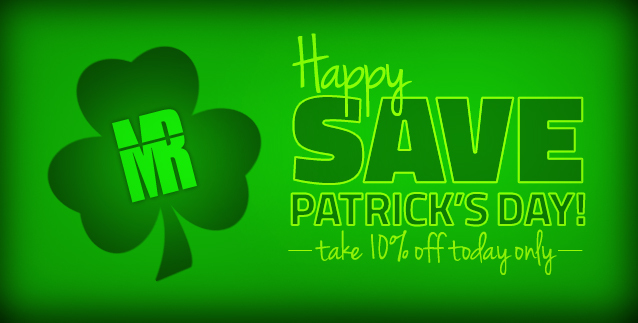 It’s that time of year again – where we turn Saint Patrick’s Day into SAVE Patrick’s Day! Our Lakewood, CO location’s Grand Opening is on Saint Patrick’s Day where we will be celebrating with refreshments, cake, food, and repair specials. We are so excited to celebrate this NEW location, we are passing along the savings to all of our customers! That’s right, TODAY ONLY (03/17/15) save 10% on any repair service at Mission:Repair. It’s simple, to obtain this SAVE Patrick’s Day discount, use coupon code “GREEN” when checking out online or print this email and bring it in to any of our walk-in locations. Have a cracked iPod screen? iPad not holding a charge? Save some green with Mission Repair and finally have that iPod, Smartphone, Tablet or Laptop repaired! This entry was posted in coupon code, denver iphone repair, kansas city iphone repair, lakewood iphone repair, Mission Repair Coupon and tagged computer repair, ipad cracked glass, iphone screen repair, saint patrick's day. Bookmark the permalink. ← It’s getting exciting here in Colorado!